Thorsten Brady has been charged after arrest at supermarket. Two men have been charged over the alleged handover of €100,000 of cannabis at a supermarket in Dublin. Father-of-one Thorsten Brady, of Larkhill, Westport, Co Mayo, and Wong Chung Sing, of Church Street, Dublin, are accused of unlawful possession of cannabis and possessing it for the purpose of sale or supply at Tesco, Parnell Street, after the seizure on Wednesday. 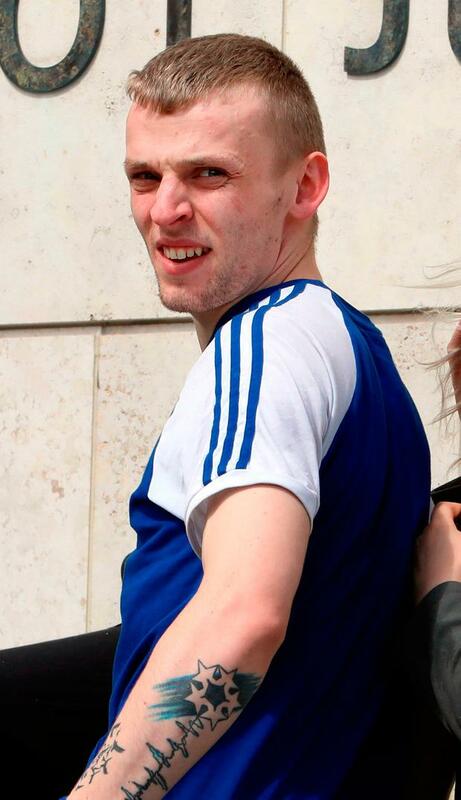 Garda Aisling Dillon told Judge Bryan Smyth at Dublin District Court yesterday that Mr Brady (23) made no reply when charged. She objected to bail, citing the seriousness of the case, and alleged that he was caught "red-handed" by gardai on patrol, who noticed him acting suspiciously. Gda Dillon said it was alleged Mr Brady and another male were seen in a suspected drugs transaction, and he had a backpack on him containing drugs. She agreed with defence solicitor Stephen O'Mahony that waiter Mr Brady "maintained a narrative of innocence during the period of detention". Pleading for bail, the solicitor said Mr Brady and his partner have an infant child but €5,000 bail could be lodged. Judge Smyth noted his passport had been handed over to gardai and granted bail after the €5,000 was brought to court by a family member. He ordered Mr Brady to sign on three times a week at Westport Garda Station, provide a contact phone number and not apply for new travel documents. He was also told to stay at The Arches, Newport, Co Mayo, and to appear again on July 27 for directions from the Director of Public Prosecutions (DPP) to be obtained. Malaysian national Mr Sing (28) deferred his bail application and was remanded in custody to appear at Cloverhill District Court next Friday. Garda Donal O'Sullivan objected to bail on the grounds that Mr Sing had stated he had €7,000, which was "financial means to flee the jurisdiction". Mr Sing listened to the proceedings with the help of a translator. His lawyer Cahir O'Higgins asked the court to defer the bail hearing to provide proof of an address and other details for the application. Legal aid was granted to both defendants.